Regardless of Treasurer Joe Hockey’s much publicised loathing of Lake George’s wind farms, in financial circles investing in environmentally or socially responsible industries is the new black. 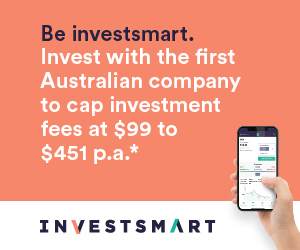 “With eight of the top ten investment managers in Australia having now declared themselves responsible investors by signing on to the UN Principles for Responsible Investment, it would be fair to say that responsible investment has become mainstream,” said Simon O’Connor, CEO of Responsible Investment Association Australasia (RIAA). Green investing, also called ‘ethical investing’ or ‘responsible investing’, supports environmentally conscious businesses such as solar energy companies, wind farms and reforestation initiatives. Green investors steer clear of businesses that can cause harm to people (such as the tobacco industry) or the environment (such as coal mining companies). Investing green doesn’t mean sacrificing financial returns. Actually, the opposite is the norm: according to a recent RIAA report, average annual returns from green managed funds were up to 3% higher than those from conventional Australian share funds. The research showed that there was only one area in which green investment fund 1-year performance fell below the mainstream average. That was in multi-sector growth funds, which achieved returns of 12.5% versus 13.8%. “The strong outperformance of ethical and responsible investment funds should finally put to bed the myth that a more responsible approach to investing leads to lower returns,” says O’Connor.